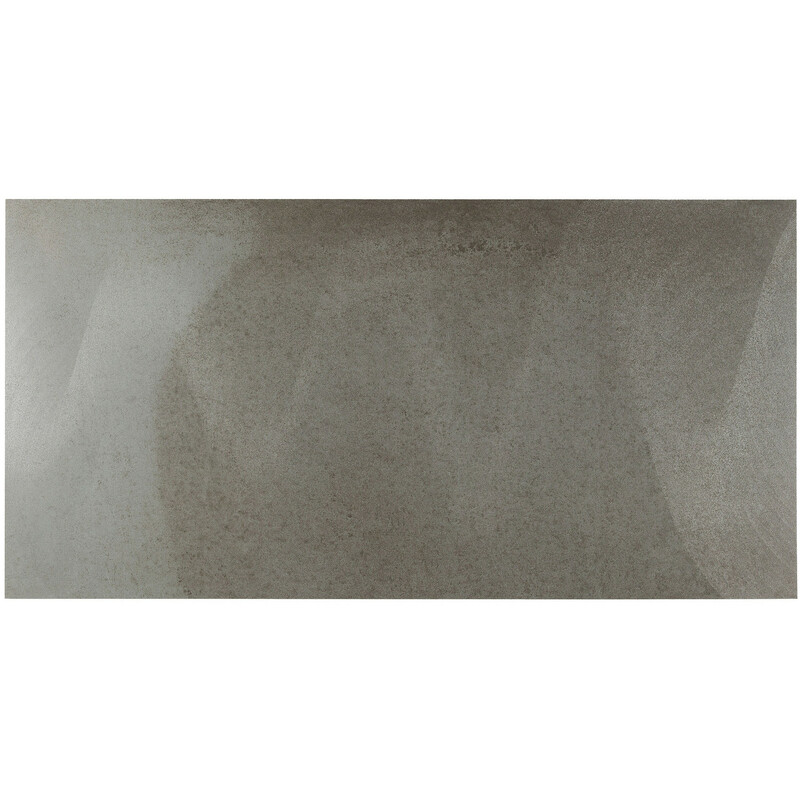 The Xplode Inox floor tile, made from polished porcelain stoneware, captivates with its brushed-metal finish and concrete surface. The refined inox colouring, in harmony with the brushed finish, brings a special elegance to any room. 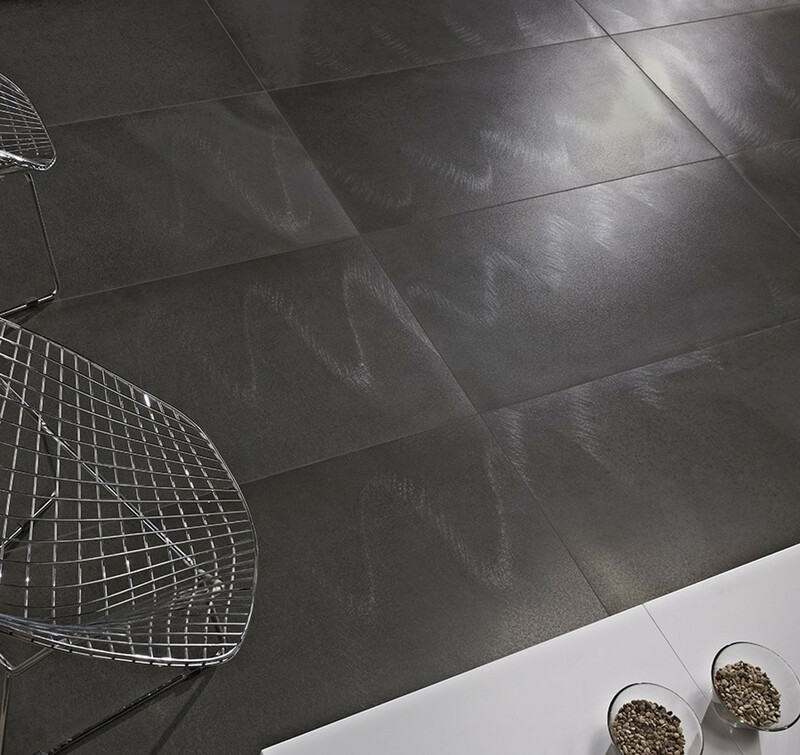 Various innovations from the tile industry meet in this tile. The Spanish manufacturer, Aparici Ceramica, delivers the Xplode Inox porcelain stoneware tile from the Xplode series in rectangular form with dimensions of 59.5 x 119.30 cm and a thickness of 10.1 mm in the inox colour with a polished finish. This tile is rectified. After the burning process, it is finished by machine, resulting in a uniform size with 90° edges. 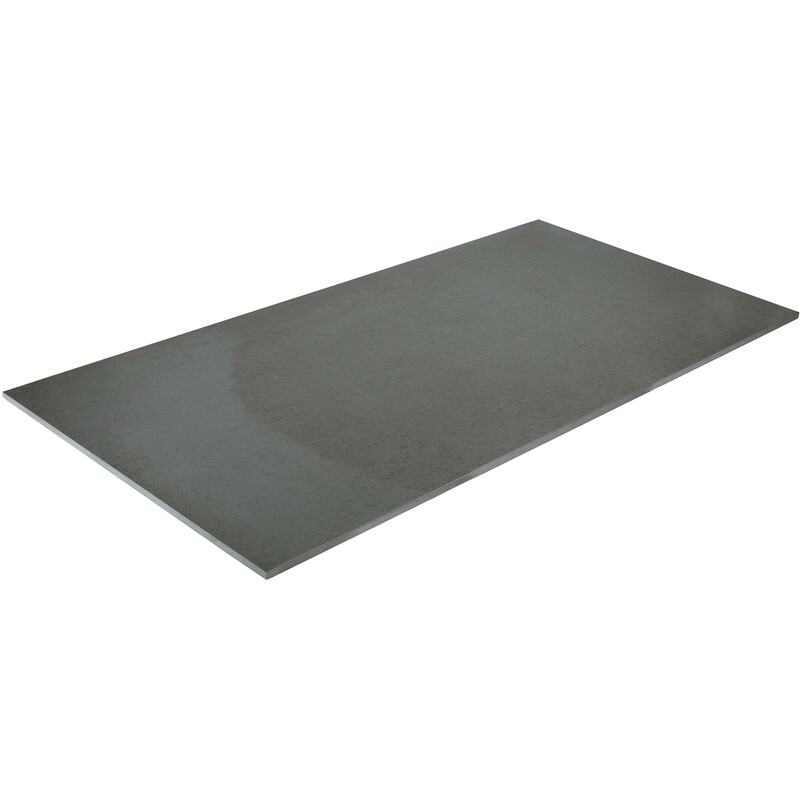 The frost-resistant Xplode Inox tile is suitable for both walls and floors. The "frost-proof" designation applies to outdoor areas; however, we recommend a drainage mat for controlled run-off of the thawed water, as otherwise the water cannot drain and frost damage can occur. The polished material should not be lain on open terraces due to the danger of slipping. As a floor tile, this porcelain stoneware features a friction of class 4, making it suitable for intensive use with abrasive soiling, such as in entrance areas and kitchens. Tip: in principle, any floor tile is suitable for a floor heating system. This high-quality product is available at our "Berliner Fliesenmarkt" Berlin tile exhibition in Charlottenburg, or here in our online shop, "berlinerfliesenmarkt.de".